sassyfrazz: Candlewick Press Books~ PLUS a GIVEAWAY! From your list...Let's Play in the Snow. I teach kindergarten. This is a great giveaway! What-the-Dickens: The Story of a Rogue Tooth Fairy sounds really fun to read. I would love the Where's Waldo books, I think just about everyone in my house would enjoy them. I would like to give What-the-Dickens: The Story of a Rogue Tooth Fairy to my brother in law who is a dentist. Thanks for the giveaway! From the site, I like A Visitor for Bear. I would love to win the Waldo books! From the website - Andy Shane is NOT in love sounds like a good one. I would also like the Moon landing book from the reviews. So sorry I forgot to add I would love the Where's Waldo collection if I win! I like the Always book from the website and would like the waldo collection. The Monster Who Ate Darkness looks like a cute book. Out of the list I would love the Where's Waldo books. One of the books my sons would love is The Savage. This book sounds wonderful! If we won, my sons would love the Where's Waldo? book. A Visitor for Bear sounds like a great read--and I would love to win Let's Play in the Snow! THanks for a great giveaway! WHEN I'M BIG featuring the Nutbrown Hares. The Miraculous Journey of Edward Tulane is a wonderful book! I think my son would like the "Baby Dragon" book and the "Big Little Monkey" book. Thanks for the chance. 'The Tale of Despereaux: A Hero’s Quest' looks like a great book for the kids! If I were to win, I'd love 'Let's Play in the Snow'. My daughter has the 'Guess How Much I Love You' book and loves it, so I'm sure she'd enjoy this one too! In our piggy-loving household, All Pigs Are Beautiful would be a HUGE hit! I would like the Tale of Despereaux. From the site, Extreme Animals by Nicola Davies would be a huge hit in our house. 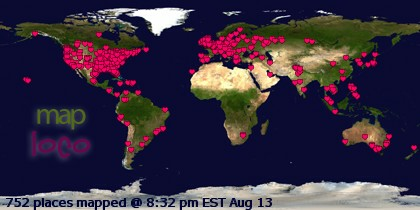 From those you listed, Where's Waldo would be wonderful. I loved the books growing up and know my son would have a blast with them too. This book http://www.candlewick.com/cat.asp?browse=Season&mode=book&isbn=0763641103&bkview=p&pix=y (Happy Hector) looks soo cute! I would love to win Moon Landing! A visitor for Bear looks great. Of the ones you mentioned, probably where's waldo set. brings back memories. I thought "Our White House: Looking In, Looking Out" sounded interesting. I would love to win the Where's Waldo collection. The Holiday Joliday" by Megan McDonald would be a fun book. From the site I liked A Visitor for Bear. From your post Where's Waldo? From the website I really like the book I Am Not Sleepy and I Will Not Go to Bed pop-up book and I would just love the Where's Waldo? Thank you so much! 10 Things i can do to help my world, is a book i would love to read with my daughter. and if i won, id like the Lets Play in the snow. so appropriate since we are moving from Texas to New York in a few weeks. lol. Let's Play in the Snow sounds good since there is 3 ft in the front yard. I love "Let's play in the snow." A Visitor For Bear looks like a great story for my preschooler- thanks! Candlewick has so many good books. "Baby Dragon" by author Amy Ehrlich looks really cute and has a good message. If I won, I'd love "The Gift of the Magi" (classic, love to see the illustrations!). Thanks so much. From the website I love Santasaurus by Niamh Sharkey. From the review I would love Moon Landing. Thanks for the contest! From the website, I chose What the Dickens, The Story of A Rogue Tooth Fairy. From your List, I picked Where's Waldo, the complete Collection. I love to read--Books are WONDERFUL!!! Get kids started early!! And it will be a wonderful gift that you will give them. The "And Here's to You!" looks super cute. Hansel and Gretel is a great book. We'd love Let's play in the Snow! I like "Maisy's Christmas Day" and "Happy Easter, Maisy!" From the ones you reviewed - Moon Landing, but they all sound neat! On their site, "Little Beauty" and "There Are Cats in This Book" look like fun -- for the interactivity with the cats and because my kid likes books about gorillas. From the ones you reviewed, "Let's Play in the Snow" would be fun for us -- we like the Nutbrown Hares. 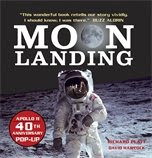 Christina - xristya@rock.com - I'm curious about The Astonishing Life Of Octavious Nothing, from Candlewick Press, and as to the books that you've mentioned, I'd love a copy of Moon Landing, which seems very interesting and informative! Yours, MAISY!!! My boys love Maisy! My daughter would love All Pigs Are Beautiful. From the list, the book, And Here's to You! would be a great one, and from your list, I know my boys would love Where's Waldo. I loved the Wicked books so "What the Dickens" immediately got my attention on the Candlewick site. If I won I'd like the Where's Waldo! Those books never get old!! I think my daughter would enjoy Knitty Kitty and Oscar and the Frog--anything with animals! They both look so cute. I would choose The Gift of the Magi. I love P. J. Lynch's art, and this is already on my list of books to buy! The book Visitor for Bear looks really sweet. I would like to win The Gift of the Magi -- it's such a sweet story that I'd like to read to my kids. My son would like the book A Visitor for Bear, since he likes bears. I like the Where's Waldo books if I'm a winner. Thanks. I heard about The Astonishing LIfe of Octavius Nothing. I would like to read that one and the sequel. I like Good Masters! Sweet Ladies! : Voices from a Medieval Village. I like Baby Duck and the Cozy Blanket. I would choose the Gift of the Magi. I'd love to win the Where's Waldo set. I also like Good Masters! Sweet Ladies! : Voices from a Medieval Village. It's so interesting to "visit" another time. "All Pigs Are Beautiful"; Waldo would be great for niece Hannah! The Tale of Despereaux looks like a pretty awesome book! Ilove the Where's Waldo books. I love the Robert Sabuda books and since I have one for my daughter, the Encyclopedia Prehistorica: Dinosaurs would be great for my son. Thanks! Candlewick press have been putting out wonderful books since I was a child! I think the "Gentle Giant Octopus: Read, Listen, and Wonder" looks really cute. Thanks so much for this fun giveaway, it brings back memories! From the site, I like Dragonology. From your list I like Let's Play in the Snow. Great books! Big Blue Whale would be perfect for my daughters current array of interest. From the website, Yes Yes! : A Box of Board Books looks great. From your list, I'd like Let's Play in the Snow. From your list the Where's Waldo books. I was just at Barnes and Noble after Christmas and we hunted all over for some Where's Waldo and couldn't find any. Now I know where to get some. All We Know of Love by Nora Raleigh Baskin looks like a good book. I would love to win The Gift of the Magi. What-the-Dickens: The Story of a Rogue Tooth Fairy is my favorite on their site. If I win...I would love Where's Waldo. My girls have been reading the Judy Moody for a while now. and I know they would love the Where's Waldo books. Please enter me into the contest for Let's Play in the Snow. I love Always by Ann Stott!